Purple drank goes by several names including sizzurp, purple stuff, lean, drank and barre. However, despite these playful monikers, purple drank is remarkably dangerous and has either killed or hospitalized several celebrities with equally entertaining epithets like DJ Screw, Pimp C, and Lil' Wayne (treated in the ICU). In recent years, purple drank has been celebrated among singers, rappers and professional athletes like Soulja Boy, Justin Bieber, and JaMarcus Russell. Apparently, all this attention was too much heat for drank's unwitting supplier, Activis, which has halted production and sales of this highly potent cough syrup (nicknamed Prometh) for fears of substance misuse. Purple drank is a street cocktail which can take several forms usually centering around one potentially deadly ingredient: Actavis's recently discontinued prescription cough syrup Prometh, containing promethazine (Phenergan) and codeine. This potentially "killer" cough syrup is cut with soda, candy, and sometimes alcohol—giving it a signature saccharine taste. Promethazine hydrochloride belongs to the phenothiazine class of drugs; this class of drugs is used in various antihistamine (allergy) and antipsychotic medications. Promethazine is used in prescription cough syrup for its antihistamine, antiemetic (anti-vomiting), and sedative effects. Alone, promethazine doesn't usually cause euphoria unless mixed with other depressants like codeine and alcohol. Codeine is a prodrug which is metabolized by your body into morphine. In prescription cough syrup, codeine works to suppress a cough. As you're probably aware, morphine and other opioids can also cause feelings of elation, analgesia, and euphoria, too. Prescription opioid abuse is a rampant problem in the United States and across the world. Purple drank is like an anesthetic but without life support. You depress your body in many ways when you drink drank. In fact, sometimes drank is called "lean" because you feel like leaning when you drink it. From a scientific perspective, it's difficult to pinpoint exactly how much purple drank it takes to kill someone. From a medical perspective, it's safe to say that imbibing any amount of purple drank is a terrible idea. To put it simply, drank messes with your physiology in a variety of dangerous ways. Furthermore, when other central nervous depressants are thrown into the mix like barbiturates, narcotics, and tricyclic antidepressants, repercussions are particularly grim. For purposes of simplicity, this article is focused on Prometh-derived purple drank; an iteration most celebrated and coveted by celebrity and common abusers alike. However, drank can also be brewed from over-the-counter cough syrups containing dextromethorphan. (Please don't get any ideas.) Dextromethorphan is similar to the dissociative anesthetics ketamine (Special K) and phencyclidine (PCP). Like its chemical brethren, when taken in excess, dextromethorphan can cause hallucinations and out-of-body (dissociative) experiences; it also causes nasty adverse effects like increased heart rate, hypertension, and diaphoresis (profuse sweating). If you're offered a styrofoam cup filled with purple drank—apparently, styrofoam cups are the preferred means of administration—please refuse. If you are misusing Drank or any other drug of abuse, please seek help and consult with an addiction psychiatrist or a primary care physician, nurse practitioner or physician assistant who can refer you to an addiction psychiatrist. Looking forward, it's encouraging that Activis is discontinuing the production and sale of Prometh, its potent prescription cough syrup. However, as any DEA agent or addiction specialist can attest to, when there's a will, there's always a way. Currently, people are stockpiling Activis' prescription cough syrup containing promethazine and codeine. 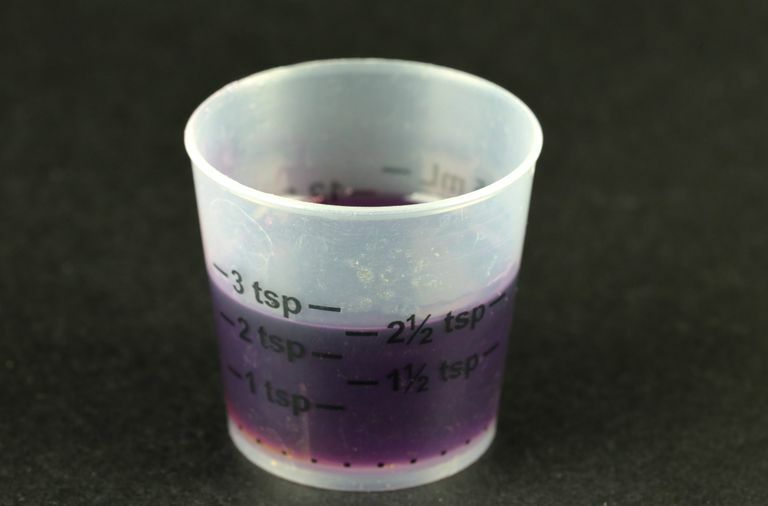 It remains to be seen whether drug dealers or other people who desire purple drank will figure out some other way to concoct a cocktail replete with promethazine and opioids. Article titled "Purple drank prevalence and characteristics of misusers of codeine cough syrup mixtures" by LE Agnich and co-authors published in 2013. Article titled "Antitussives and substance abuse" by JM Burns and EW Boyer from Substance Abuse and Rehabilitation published in 2013. What Are the Risks of Quitting Substance Use Cold Turkey? What Are the Prescription Drugs Which Are Most Often Abused?